Jenette and her twin sister, Clara, were born January 22, 1879. Their parents were Louis Bittlingmeier (1844-1899) and Katharina Schuhmann (1856- ). 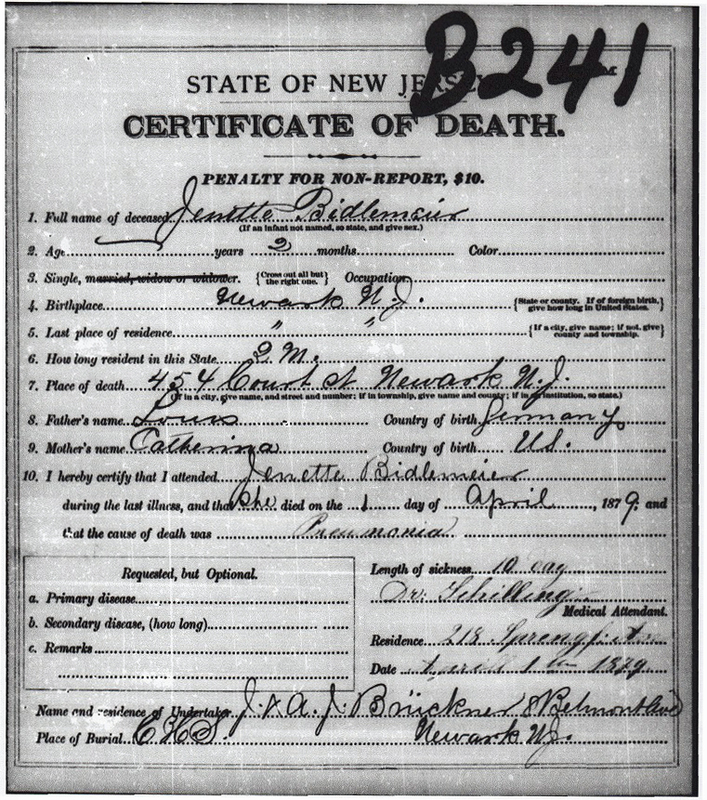 On her birth certificate, Jenette's name is listed as Bertha, something I've never been able to explain. The twins lived only two months, dying within a few days of each other.